Lt. Cmdr. M. D. Jame Poe, son of Mr. and Mrs. Frank Lovett, Easteland, husband of Sadie Brewer, attended Baylor Univ., Waco, and Univ. of Chi. Med. School. 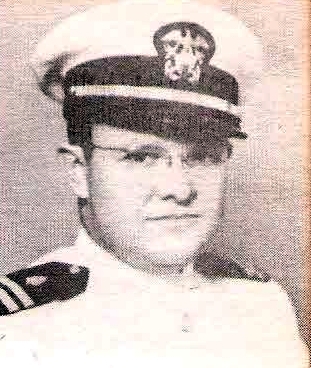 Entered Navy 1942, served as Surgeon on USS SOUTH DAKOTA. Engaged in 11 campaigns, and attached to 4th Marines for landings in Japan. Awarded Navy Bronze Star and Commendation Medal.